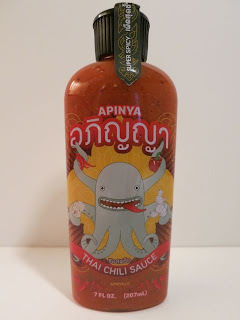 As you know, I love to support local businesses, which is why I was so excited to try the new Apinya Thai Chili Sauce. Made in Herndon, VA, Apinya was created by two people named Adam and Apinya who wanted to create a premium chili sauce that used fresh vegetables and spices as the base and less vinegar while incorporating their Thai roots. They suggest that you use it like hot sauce and I couldn't help but compare it to Sriracha as it reminded me of that. But, make no mistake, these sauces each have their own unique taste profiles. At first, I tried topping a Thai meal with the Apinya sauce. First of all, I love that it is really hot. I mean it has a serious kick. 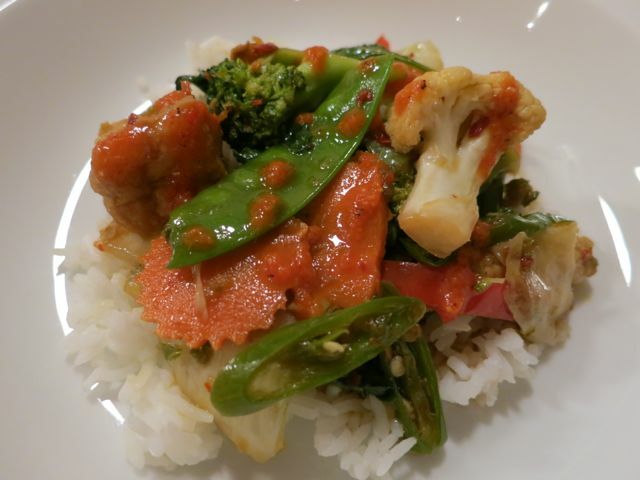 You can really taste the roasted red peppers and fresh Thai chilies. 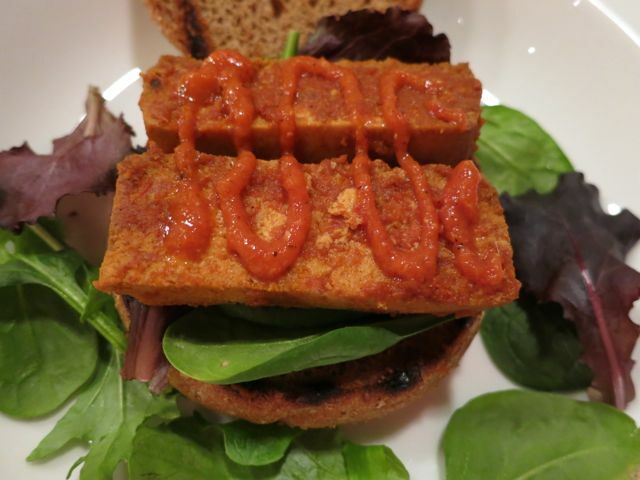 It livened up my dish in a different way than Sriracha. While they are both pretty spicy, with Apinya you really get the roasted red pepper taste on the tongue first while with Sriracha you get more of the sugar and chilis first. So while they are actually made with similar ingredients, you are getting completely different tastes. The only difference in ingredients between Sriracha and Apinya is that Apinya uses roasted red peppers and ginger while Sriracha doesn't. They also use a couple different preservatives. So they have similar ingredients in different concentrations with some variation. Also, I should mention that the funky label really caught my eye. Their friend designed the octopus and if you look closely, you'll see he is holding the ingredients in their hot sauce. Very cute. This sauce is a great hot sauce to add to your mix to spice up sandwiches, stir fries, and whatever else you like to put hot sauce on. For me, that is pretty much everything. To order one for yourself for $8.95 per bottle, click here . To see where to buy them, click here.